Augmented reality and virtual reality are gaining traction with investors, but that might not translate to immediate demand in the agency world. Over the last year, investment in augmented reality and virtual reality has hit a high of $2 billion, according to new figures from the investment advisory firm Digi-Capital. While the current Pokémon Go craze has introduced a new mass of consumers to augmented reality, there are mixed feelings from some agencies about how the game will play into the technology’s place in advertising. Although the technology has had a strong hand in the functionality, Dave Meeker, Isobar’s VP U.S., says the success of the game has more to do with the nostalgia of Pokémon and the context in which the technology is implemented. “The idea of being able to interact matches up really well with the storyline of Pokémon,” Meeker told the IoT Daily. “There’s a lot of integration of these creative and fun elements with the technology, but it’s not a tech story,” Meeker said. The general consensus of agencies the IoT Daily spoke with is that the technology alone is not responsible for the game’s success, though the game will have an impact on augmented reality adoption for agency clients in the coming years. “One brand, one cool outlier, will jump on this and do a cool experimental promotion inside Pokémon and if it’s successful, others will follow,” Warren Zenna, EVP and managing director of Mobext, told the Daily. With such investment from companies within the industry, Zenna suggests that the results will be seemingly guaranteed. These technologies have been around for about five years and agencies have been trying to push for clients to use them. Meeker, who also heads Isobar’s NowLab, argues that the technology hasn’t taken off until now because it is a singular technology. As for the use of this technology in the future, there seems to be a hopeful outlook by the agencies, although both said it will take place years down the line. 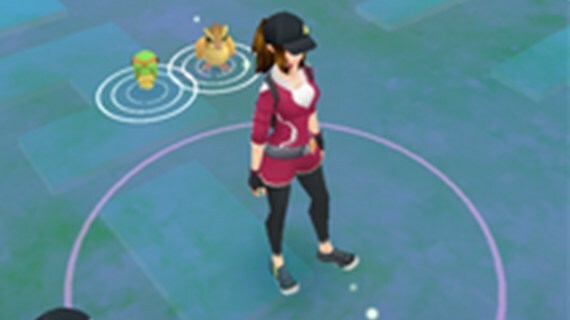 One possible use for augmented reality and a logical extension in user behavior from that of Pokémon Go would be with social integration, according to Zenna. Digi-Capital projects even more growth from investors in the coming 12 months and notes that there has been a shift from innovator-stage VCs to early-adopter stage VC investors when it comes to augmented reality and virtual reality technologies. Isobar suggests that the technology will have a place in the agency world in the coming years. “If you’re not looking at this stuff right now, you should be,” said Isobar’s Meeker.